Cool Harvest is a food, faith and climate program by Interfaith Power and Light. 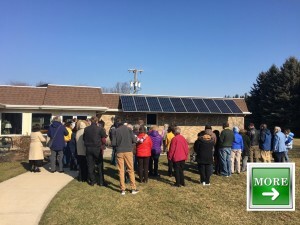 It is for congregations interested in responding to climate change through educating their members about climate-friendly food choices and engaging them in activities, such as organic gardening, that can inspire and have a positive impact. Cool Harvest features free downloadable kits with great garden ideas for a cooler planet, ways to make climate-friendly food choices, and companion DVDs at a special reduced price. Holding a Cool Harvest Potluck is the perfect fit for faith communities that love food, and are also concerned about global warming. Follow the 5 easy steps in this guide to plan and host your own Cool Harvest Potluck for friends, green team members, or for your entire congregation. It’s fun, it’s easy, and it’s a great way to address climate change. Click here. For more information about the resources available, including movies, recipes, downloadable kits, click here.